This article will briefly discuss the two most largest Norse settlements dating to the Viking period in Northern Europe. The first one, judging by its size and its population, was most likely Hedeby, although recent research suggests that Uppåkra might have very well surpassed the latter in both regards. 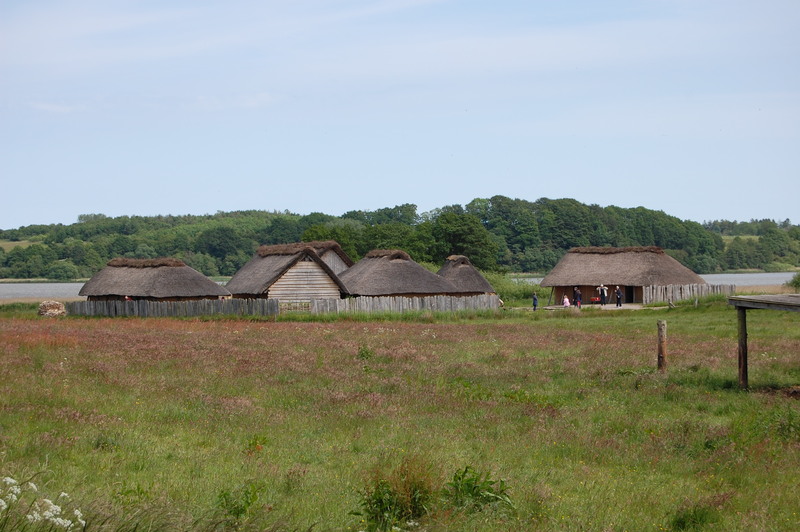 Hedeby was an important Viking era commercial town situated in the south of the Jutland peninsula. During the Viking Age it was part of the Kingdom of Denmark but nowadays it is part of Germany, being situated in the Schleswig-Flensburg district of Schleshwig-Holstein, the northernmost of the German lands. Heiðabýr (as it is known in Old Norse, literally meaning ‘heath settlement’) was founded at some point before or during 770. It was firstly mentioned in the Royal Frankish Annals in the year 804. 4 years later, namely in 808, Danish King Gudfred and his forces obliterated a proximal strategic emporium called Rerik. According to the same Frankish chronicles, King Gudfred relocated the inhabitants of Rerik to Hedeby in order to grow its regional commercial potential. In order to protect this trade centre, King Gudfred subsequently expanded and strengthened the Danevirke (a series of earthen fortifications stretching along southern Jutland since the late Iron Age) around the settlement to three cardinal points, specifically to the west, north, and south. Throughout the 9th century the limitrophe areas to the north and south of the settlement were deserted for the centre of the town. 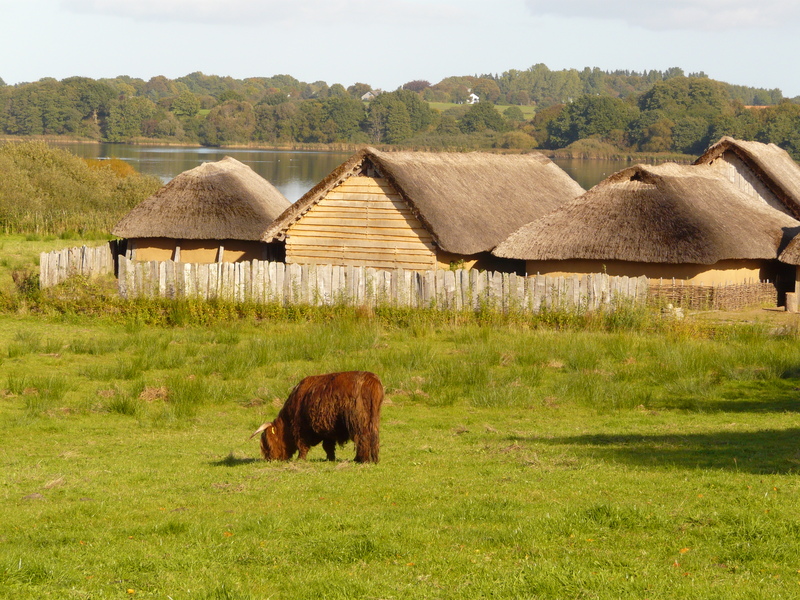 Given its geographic position, Hedeby grew as a noteworthy market place in early medieval Scandinavia. So it is that it handled goods that stemmed from both the North and the Baltic Seas as well as from the neighbouring Frankish Empire. With respect to urban planning, the town of Hedeby was quite crowded and small houses were built close to each other. It is likely that the town also minted its own coins in mid 9th century. Furthermore, Hedeby was also the seat of a bishop one century later. Nonetheless, as the 11th century progressed Hedeby had been gradually losing importance as the Viking Age steadily faded away. The settlement was ultimately burnt twice, once by King Harald Hardrada of Norway in 1150 and another time by the East Slavs in 1066. The latter fire forced the residents to abandon Hedeby and found the town of Schleswig/Slesvig later on. Nowadays, there is a museum dedicated to the history of the region near the site of Hedeby. 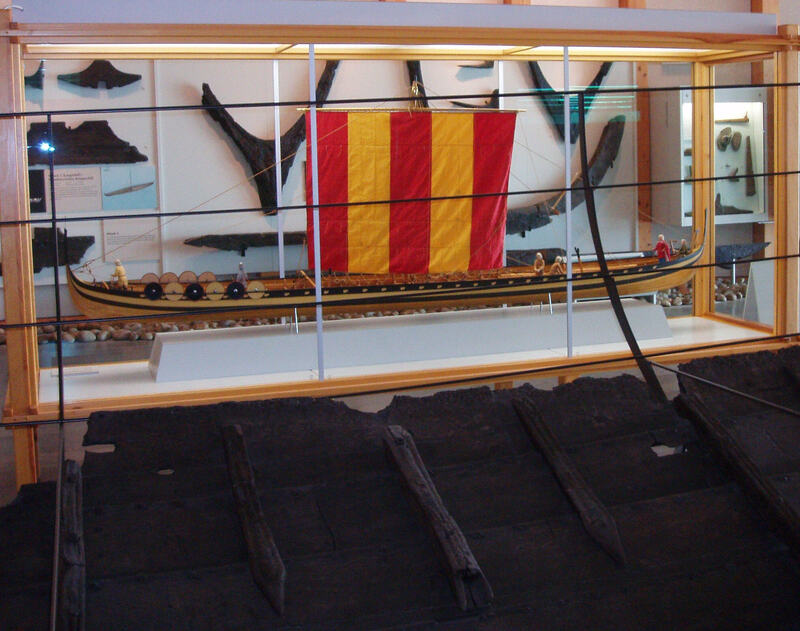 The museum displays authentic reconstructions of Norse houses, ships, as well as numerous artefacts dating to the early Middle Ages. Uppåkra is an important archaeological site in Scania, southern Sweden. The settlement was founded during the late Iron Age but its regional importance started to be noticeable only after the 5th century AD. It was strategically located between Trelleborg and Helsingborg. It had subsequently declined in power and wealth as the 10th century came to an end. Eventually, it is assumed that its population relocated to Lund. Excavations on its site in 1990 proved the fact that it was one of the most wealthiest settlements of both the Nordic Iron Age and Viking Age. Thank you for pointing out that mistake and for your time reading on the website. It was just a minor typo. In the meantime it has been corrected. Cheers!